Kyl has served a total of 26 years in Congress, including 18 in the U.S. Senate. Arizona Gov. Doug Ducey will appoint former U.S. Sen. Jon Kyl to replace the late John McCain, who passed away last month due to complications from brain cancer. Ducey officially appointed Kyl at a news conference Tuesday, a decision that comes less than two weeks after the death of McCain, the former GOP presidential candidate and Navy veteran who held the seat since 1987. "As I contemplated who could best serve our state in the U.S. Senate, I kept coming back to one name and one person: Jon Kyl," Ducey told reporters at the Arizona State Capitol Tuesday. Cindy McCain, John McCain's widow, tweeted Tuesday that Kyl "is a dear friend of mine and John's. It's a great tribute to John that he is prepared to go back into public service to help the state of Arizona." Kyl benefits from a long record of Washington experience and served a total of 26 years in Congress, 18 of them alongside McCain in the U.S. Senate. Ducey referenced that record Tuesday with Kyl standing beside him. "There is no one in Arizona more prepared to represent our state in the U.S. Senate than Jon Kyl," Ducey said of the 76-year-old veteran of Washington politics. (Alex Wong/Getty Images, FILE) Senate Minority Whip Sen. Jon Kyl speaks to reporters as he arrives for the Senate Republican Weekly Policy Luncheon, Dec. 4, 2012, on Capitol Hill in Washington, D.C. The appointment of Kyl also marks a slight ideological departure from McCain, and gives Republicans a more reliably conservative vote in their ranks. According to FiveThirtyEight, Kyl sided with the GOP on party-line votes at a higher rate than McCain in seven out of the nine sessions of Congress in which both of them were in the Senate. Kyl was the second-ranking Republican in the U.S. Senate when he left office and more recently has been deeply involved in the U.S. Supreme Court nomination process of Judge Brett Kavanaugh, whose confirmation hearings officially began today. The White House announced Kyl as the 'Sherpa' for President Trump's Supreme Court nominee in July. "Over the last few months, Senator Kyl has been working closely with the White House on the Senate confirmation of the President Trump’s nominee to the U.S. Supreme Court, Brett Kavanaugh. Now, Senator Kyl can cast a vote for Kavanaugh’s confirmation," Ducey said Tuesday. During his over two decades in Congress, Kyl served on the Senate Judiciary Committee during the confirmation of four U.S. Supreme Court justices. Asked Tuesday about his relationship with President Trump, Kyl said that he has met him only once but said it has been an "honor" to help with Kavanaugh's nomination process. 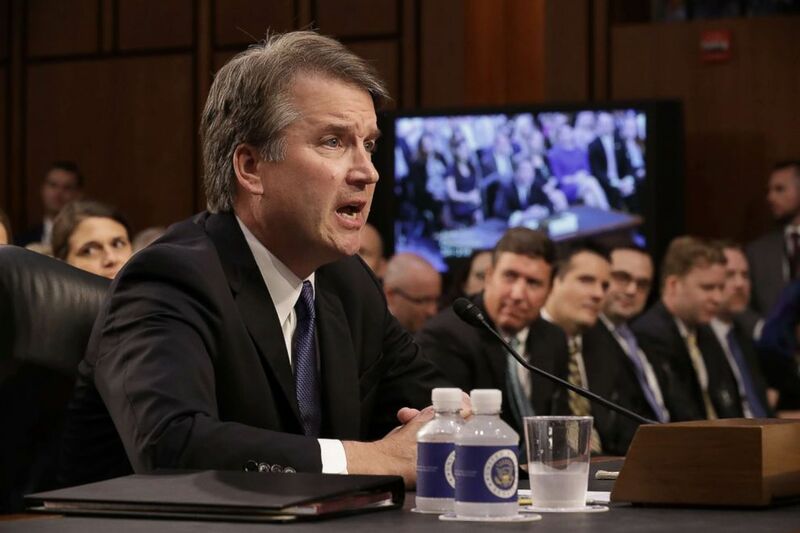 (Chip Somodevilla/Getty Images) Supreme Court nominee Judge Brett Kavanaugh appears before the Senate Judiciary Committee during his Supreme Court confirmation hearing in the Hart Senate Office Building on Capitol Hill Sept. 4, 2018 in Washington. "I don't really have a relationship with President Trump," Kyl said. In a February 2018 interview with a local Arizona radio station, Kyl said Trump is "his own worst enemy." "I don’t like his style. I think it is boorish. I think he’s his own worst enemy. He could be much more effective if he were more politique, more diplomatic — of course, that’s one of the things that people like about him — the fact that he isn’t that way. But I think there’s a happy medium," Kyl told Arizona radio station KJZZ. Despite Kyl's previous criticism, President Trump responded positively to the news of his appointment Tuesday afternoon and said the Arizonan will be "an extraordinary Senator representing an extraordinary state." Kyl's arrival in Washington does not immediately impact the balance of power in the U.S. Senate, where Republicans are clinging to a 50-49 majority with the midterm elections just over two months away. 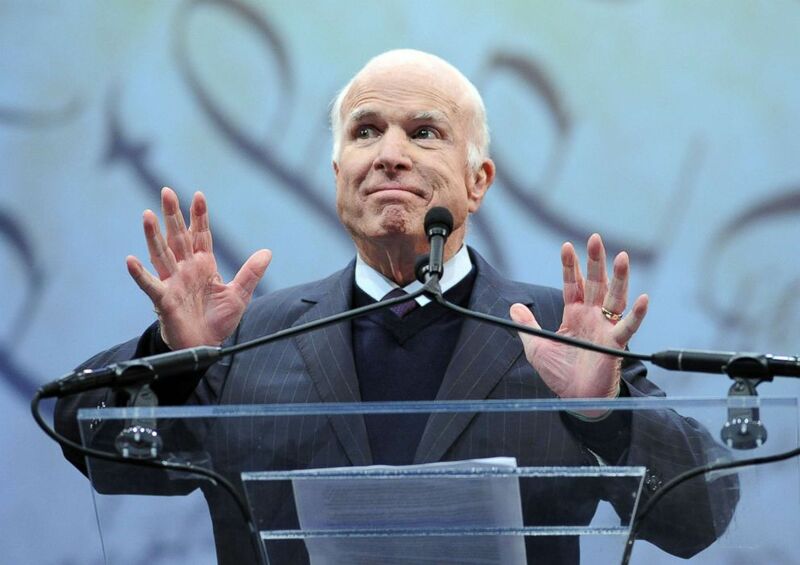 The former senator and congressman said Tuesday that he will not seek re-election to the seat in 2020, when a special election will be held to determine who will fill out the remainder of McCain's term until 2022. "I will not seek this seat in 2020, nor any other office in the future," Kyl said Tuesday, "I'm accepting this appointment to fill the seat vacated by the passing of my dear friend because of my sense of duty to the state I love and the institution of a Senate in which I served for 18 years." (Getty Images, FILE) Sen. John McCain makes remarks after receiving the the 2017 Liberty Medal at the National Constitution Center on Oct. 16, 2017 in Philadelphia. Ducey said it is his hope that Kyl serves long that that, but picked Kyl because he is the "best possible person, regardless of politics." Ducey, a Republican, was required by Arizona law to name a Republican to replace the Republican McCain. The former Arizona senator also has a close relationship with Ducey, who has referred to him as a mentor that he has leaned on through the early days of his administration. The governor also confirmed the news and offered praise for Kyl in a tweet prior to his news conference Tuesday morning, saying "I am deeply grateful to Senator Kyl for agreeing to succeed his friend and colleague of so many years." Arizona's other U.S. Senator, Republican Jeff Flake, told reporters on Capitol Hill Tuesday that Kyl is the "perfect guy" to succeed McCain. "They worked together for 18 years. They served together. So I think he'll fit right in. He obviously shared Sen. McCain's views on most things, and perfect guy to succeed him," said Flake, a prominent Trump critic in the GOP who is not seeking re-election to the U.S. Senate this year. Republican Rep. Martha McSally, who won the GOP primary to succeed Flake last week, praised Ducey's decision to appoint Kyl. 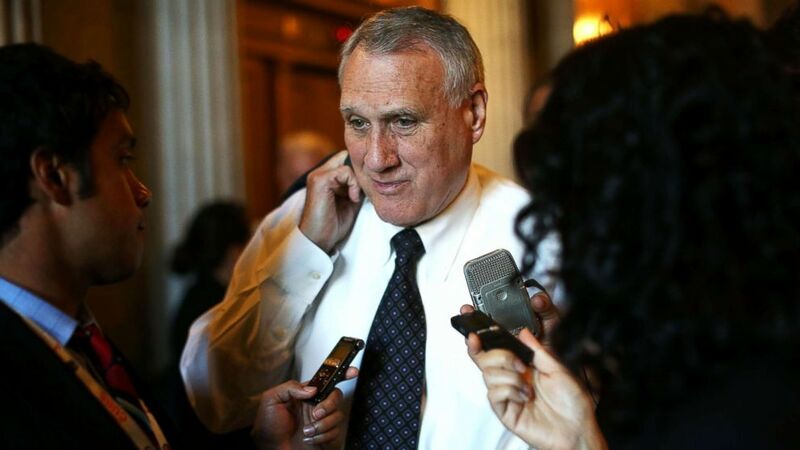 "Senator Jon Kyl is a brilliant man of integrity and a proven leader for Arizona and the entire country," McSally said in a statement Tuesday, "I commend Governor Ducey for his wise decision and look forward to working with Senator Kyl for Arizona."